The Waiheke Dirt Track season started on the Sunday of Labour Weekend with 21 cars racing. The next meet will be held this Sunday from 11am. Sunday 5th September, 9am. Includes various activities and social double plays. Rain date 12th Sept 9am. The Barn Superliquor Waiheke Rams played for Ryan Bartletts memory and his trophy on saturday. They achieved both in a stirring victory in front of a great loyal home crowd 36-14. In fact as if fate would have it all 4 Rams teams celebrated with victories. Northcote were a well drilled and serious team who had stated to knock over the Rams and in the first 20 mins they took it to Waiheke and led 6-0. cue Reuben Hardie, one of this seasons finds, with great speed and even more etermination would not be stopped from twenty out posting Ram’s first points. The kick was missed by Ryan (that happens as often as I win a NSW bet) 6-4 down. Sam Hammer turned up the wick with his best performance (man of match and a half) this season, his barnstorming runs and brilliant cover tackles including the running down of the Northcote winger (who fair crapped himself) when he saw who was after him. 2 tries for the day and the respect of team mates was his reward. Rams leading 16-6 at halftime had stand in number 7 and inspirational captain and fix it man Josh Bell/Lomas/Quedley laying down the 80 minute law, but……as so often happens Northcote scored the next two tries – one a good powerful effort and one that was a double movement to most. Time for a touch of brillance to restore order, and only the Rams smallest man with biggest nads could provide (if sbw had his ticker he would be twice the player) Josh Williams showing he does more than scare fat phelan players with class. Meanwhile z.man back from injury for this game was simply playing with the tigers and having a great day out, while the introduction of Jimmi Bobbi Peacock at halftime after 80 minutes of rugby was not to be forgotten as he won Waiheke glass smash of the day for any one of his rib tickling hits. It takes 17 players to make a team and everyone of the Rams players stood up for our team mate and friends memory. Last word to Sam Hammer who was so good he was given the honour of the last conversion which (of course) he landed. Rams next play Waitemata at Vic Park next saturday (10th July). ambo momo. A Waiheke boy will play for the Cook Island Auckland Representative team at the Avaiki Nui Cook Islands rugby league tournament in Rarotonga in September. The Sealink Seniors travelled to East Tamaki on Saturday fronting up to another unbeaten team in East Tamaki. Unfortunately for the Waiheke boys, it was East Tamaki who handled the muddy slippery conditions better coming away with a flattering 27-17 scoreline to end Waiheke’s ten game winning streak. 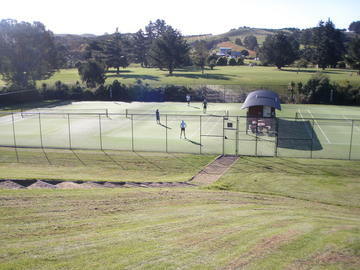 However, all is not lost and the Sealink Seniors have a chance to redeem themselves in front of their home supporters on Saturday when the play Roskill Districts – the side that won the Auckland Senior final from Waiheke last year. Winning the toss and heading into the wind on a below par field at East Tamaki’s second ground at Ngati Otara Park, Waiheke infringed early and East Tamaki took the three points on offer. After a promising foray into ET’s territory the ball was recklessly hurled backwards in the tackle but there were only two ET players in the vicinity and one grabbed the ball and went unopposed under the sticks. With the conversion ET were ten nil up. Waiheke gained dominance in the set pieces as the first half wore on, the lineouts in particular providing easy pickings for jumpers Ryan Gaudin and Kilifi Toai getting their own ball easily and plenty of the opposition’s as well. Conditions not suiting the open running rugby the Sealink Seniors are so good at, the backs found quality ball hard to come by and combined with the inevitable handling errors [due to the ball caking itself in mud, as well as the wind] it was a hard day at the office for the backs. A penalty apiece ended the first half points with ET leading 13 – 3. .
20-10. This got the Waiheke boys fired up and a short time later after another rolling maul had gained plenty of yards, big lock/loosie Iliesa Finau broke off the back and crossed the line, with the extras added the deficit was narrowed to just 3 points – 20-17, with time running out. Trying to clear the ball from a ruc,k the ball was impeded by an off side opposition player but was unseen by the ref and from the ensuing scrum the ball went wide and they scored to deny Waiheke the bonus point they deserved. Next up is top team Roskill Districts this Saturday (July 3) in what promises to be a very good game of rugby on the great surface at Onetangi Sports Park. Rest assured Waiheke will be back and are looking forward to the mighty challenge from this very good Roskill side at 2.45pm. All other games – junior, High School and Under 85s – were cancelled last Saturday. This weekend, Waiheke’s Aqua Water Pirates play Ardmore Marist in the curtain-raiser to the Sealink Seniors at OSP, at 1.15 pm. The SeaLink Seniors maintained their 100% winning record for the season when they overcame a tough challenge from Manukau in a pulsating rugby match at Onetangi Sports Park on Saturday. The Waiheke Seniors fought their way back from a 10 point deficit to score a 22-15 win – three tries to two. With a number of key players out with injuries and flu, the Sealink Seniors were really tested by a combatitive Manukau side, but in the end character and composure won the day for Waiheke. Black shorts and armbands were worn by the Waiheke players as a mark of respect for coach Ken Gloyer’s father who passed away on Friday. The next two weeks will really test the Sealink Seniors as they put their unbeaten record on the line against the two toughtest teams in the competition – East Tamaki (off-island, June 26) and then the team which took the championship final last year from Waiheke, Roskill Districts, on July 3, before Waiheke’s home supporters at OSP. The Aqua Water Pirates maintained their unbeaten record in Auckland Rugby’s Under 85 Bowl Competition when they downed Ponsonby Pirates 22-7 on Saturday. A large vocal crowd at Onetangi Sports Park cheered the local boys as they scored another bonus point win. After winning 95-0 against Varsity Babas the previous week, the Aqua Water Pirates are shaping as real title contenders in only their second season. Outstanding for the Waiheke side were wings Scott Aylet, who ran good lines and put in some big hits, and James Gaga. At fullback, Vinny Harpur was was usual cool self under pressure. Jimmy Peacock at second-five put in some hard hits and constantly threatend the defence. Up front, ‘veteran’ Nat Upchurch and Damon Neal worked hard throughout, while lock Eddy Reyners rallied the pack when the going got tough. Try scorers for the Aqua Water Pirates were Jack Leslie, Damon Neal, Vinny and Johnny Henry, on loan from the Seniors. Ponsonby scored a soft consolation try before the final whistle. This Saturday the Pirates are off-island against the Ponsonby Ponies. Waiheke Rugby’s third senior men’s team drew a gret match with Papatoetoe Power. The visiting President’s Grade teams love visiting Waiheke and experiencing some real island hospitality and Saturday’s game (and after-match function) was no exception. Green Bay put on a formidable display of counter rucking during the initial stages of this weekend’s fourth grade off-island clash with Waiheke. Unaccustomed to this level of sustained pressure at the breakdown, Waiheke struggled to settle into any rhythm against this well drilled and particularly mobile side. Consequently the home team were rewarded mid-way through the first half with a converted try after several well organised phases of play. This seemed to shock the Waiheke forward pack into action and they began to play with the conviction demonstrated in previous matches. Both teams were locked in a vicious competition for possession and field territory until Nick McCann found space that oreviously had not existed. Loose forwards and backs linked well, and after being narrowly denied in one corner Waiheke moved the ball quickly to the opposite wing and McCann crossed the line with apparent ease. Waiheke were unable to add the much needed conversion – and the first half ended with the visitors trailing by five points after a penalty awarded for ill discipline in the ruck was sent sailing between the uprights. Waiheke began the second half well and managed to generate possession and territory but were unable to capitalise on it. Further penalties allowed Green Bay to regain lost possession and territory before providing an additional three points for the home side. Rooster park was alive with cow bells & screaming fans as Waiheke Under 8 Sharks rugby team took on the lads from Pakuranga. A hard fought and evenly contested opening stanza was busted open by a stunning first ever try for Jonny Evans. Shortly after, he surged thru the defence again creating space for Josh Baxter, who scored a beautiful try – diving over in the corner. Cory Cormack who had been tackling like a demon smashed through the defensive line, this forward momentum flowed through fast hands and ended in a flurry of red hair as ‘mad’ Max Lowe scored a super try – which was an approriate gift for his “old man” Vaughn on his fortieth birthday. Liam James continued on his try scoring extravaganza with another couple of touch downs being just rewards for the huge hits & jinking runs for which he is famous. Another super tough red head – Finlay Patton – was knocking the Pakuranga boys off their feet relentlessly. He was rewarded for his defensive prowess with tackler of the day. Later Saturday afternoon, Fin fell off his mates’ horse & ended up in hospital after the horse stood on him. Hope he is around next Saturday to shore up the Sharks defensive line. Get fit quick Fin – we need ya! Jayden Lewis ran rings around the Paka lads & slid over for a well deserved try. George Fredrichberg tackled round the ankles & found himself really close to the line after a huge run up the sideline. Beau Coxhead carved up the opposition with ball in hand & linked nicely with his forwards. Oli Meadows & Josh Baxter worked real hard in the tight turning over loose ball & driving the opposition back. This gave position & possession which Will Jackson turned into points with a stunning individual run. Will won coach’s choice award for his big tackles, his ability to steal the ball & carve up the opposition with his lightning runs. Jonny Evans won player of the day for the second week in a row – he was at the bottom of every ruck scrapping for the ball & made some super runs. The Waiheke Sharks are hunting for competition victory! Grab your cow bells or vuvuzela & come down & cheer ‘em on next week. The Sharks played away to Marist Blue and were deserved winners in what was a free running game. Without a doubt this was the Sharks best game of the season, mainly due to fantastic teamwork and commitment all game. Two tries coupled with excellent ball handling skills cemented Kiyen Jacomb’s name on the player of the day trophy this week. Tackler of the day was Robert Blazek-Bhana who was outstanding on defence amassing nine rips, which is testament to the amount of running he did all day. First coaches choice for this week was the Shark’s newest player, Joe Driver, whose skills have improved in each of his three games for the club. Leroy Lewis also picked up a coaches choice award for his general tenacity and high work rate all season. 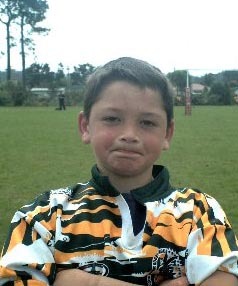 The Waiheke Under 10s were outclassed in a tough game off-island against Marist East. 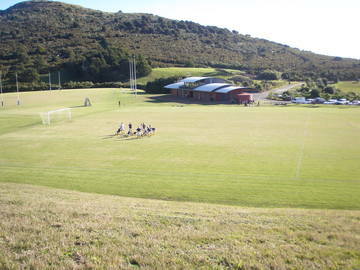 The Waiheke boys are looking for a much improved effort in front of their home supporters this Saturday. An afternoon spent with a NASCAR nation pastime. We even got hot dogs and beer! Two of the contestants were young women–they are both 16. WMBC is a nonprofit organisation, we are here for creation and strategy of Mountain Bike single track throughout Waiheke for use by residents and visitors to Waiheke Island. The club is made up from volunteers from the local community, to date the track building team has put many hours in the bush with lots of trees, sun, sweat, tears and some great riding. 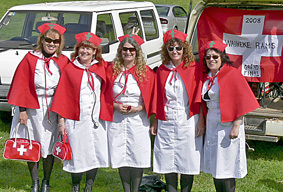 The WMBC is a very go ahead volunteer group for the community recognised by the Auckland City Council. We encourage the community to get out and enjoy the spaces around Waiheke Island whilst doing a positive exercise for the body. 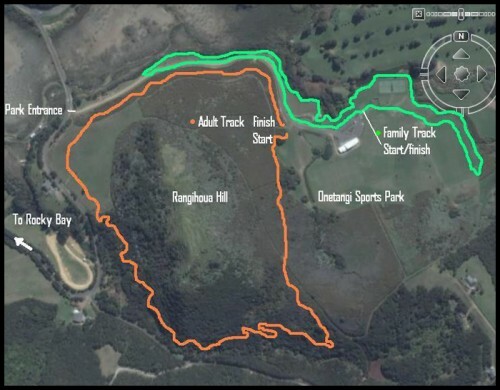 This is a first for the Waiheke community and with thanks the Auckland City Council for providing funding and support for the development of the tracks at the Onetangi Sports Park. 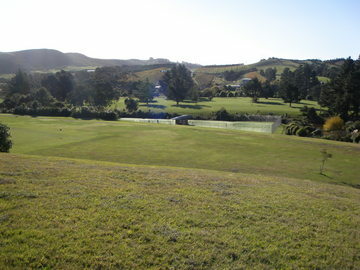 Part of the development funds were set aside for planting trees which the club had now funded and planted over 150 native trees which has been landscaped into the family track. More here ..